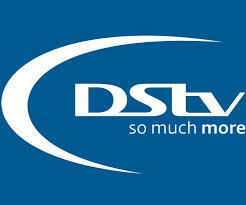 The recent ex parte injunction against Multichoice (owners of the DSTV brand and service) is an interesting one. While litigation is not my forte, I think the issue at this stage is one of basic procedure but, of course, I welcome any corrections from my more experienced colleagues. To put the lawsuit in context, Multichoice, a cable TV broadcaster, has been sued in a class action for increasing its subscription fees in Nigeria. The plaintiffs commenced their action by filing an ex parte motion asking the court to order Multichoice to keep its fees at the pre-hike levels, pending the determination of the lawsuit. An ex parte application/motion is one made to the court by a party in the absence of the party against whom it is sought to be enforced. The default position of the law is that the party you’re seeking an order against should be given notice of the motion, as well as the opportunity to present arguments against your motion at the time you’re moving it. However, the law recognises that in some instances, irreparable damage may be done if the normal process is followed and therefore provides for the ex parte process, in what should really be emergency situations e.g. a house may be demolished, or a life is in danger of being lost, or the asset in dispute (a vessel, machinery, etc) may be moved out of the court’s jurisdiction. To my mind, really serious stuff. Now, while the party against whom an ex parte order has been granted can apply to the court within 7 days to amend or cancel the order, it would be interesting to know the circumstances cited by the Plaintiffs to justify an emergency freeze on the DSTV subscription rates. The company is a private company, delivering a luxury, non-essential service, with different product offerings to cater to different budgets, and customers have the ultimate option of not renewing their subscriptions to prevent the “irreparable damage” to their wallets and bank accounts. There are also alternative services available, ranging from free-to-air terrestrial channels to web-based providers and other cable services as well. It simply seems a very un-urgent matter to me. I look forward to the final outcome of the suit and ultimately to a time when a Competition/Anti-Trust Commission is established to look into allegations of monopolistic practices and abuses broadly.